Are you a freelancer? Are you just about to hire one? 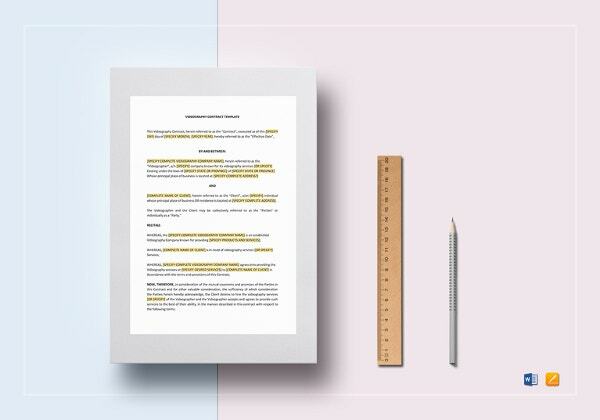 There is understandably some tension involved in creating freelance contracts that hold the partnership together as strongly as a full-time employee Contract Template. If you think about it, the reason for this is obvious. Freelancers are independent contractors. They have their own way of doing things, they may have strange requirements before you can avail their services, and you’re just not sure they are up to the task. 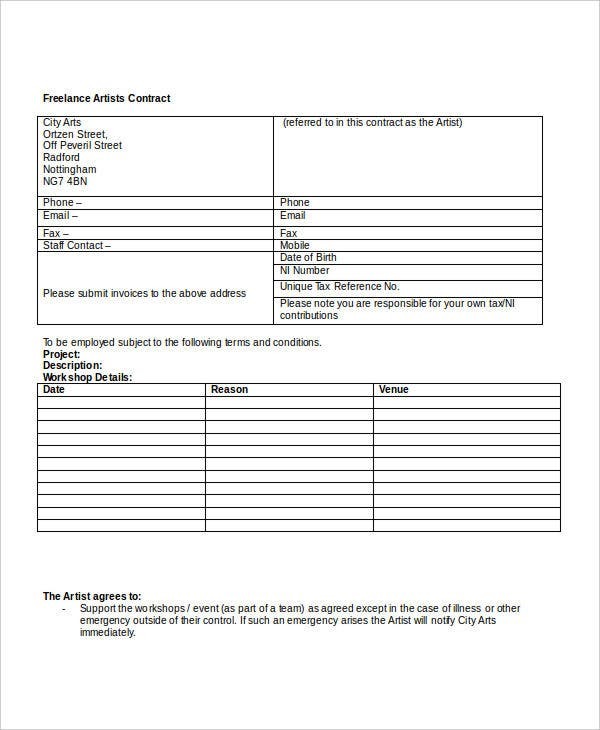 Still, you understand that the best artists out there strike out as freelancers than as cells in a multinational conglomerate. Their rates are more reasonable, and the talent is undeniable. 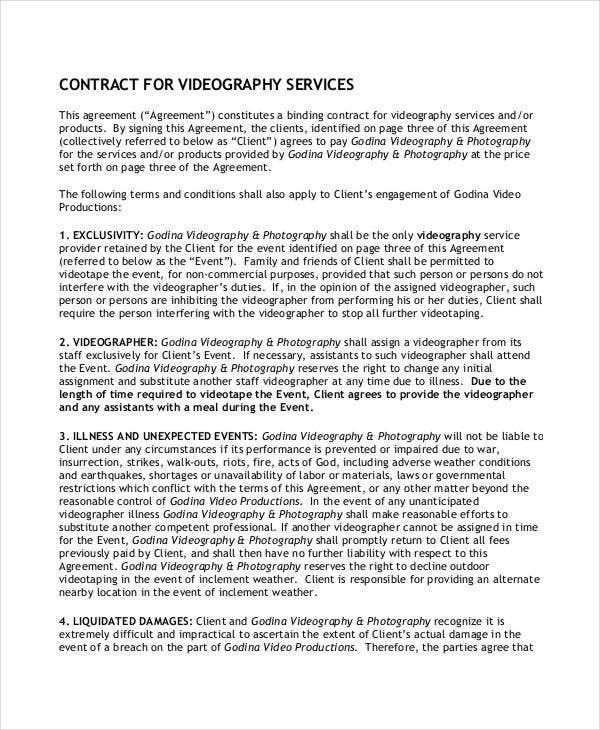 All that’s left is the contract. 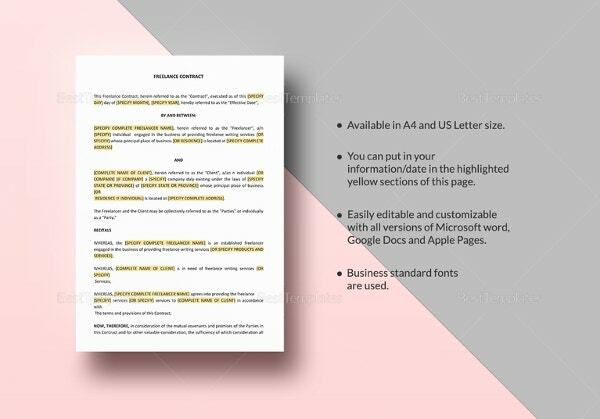 Make sure you get all the pertinent legal details covered by using one of these sample contracts as guidelines. 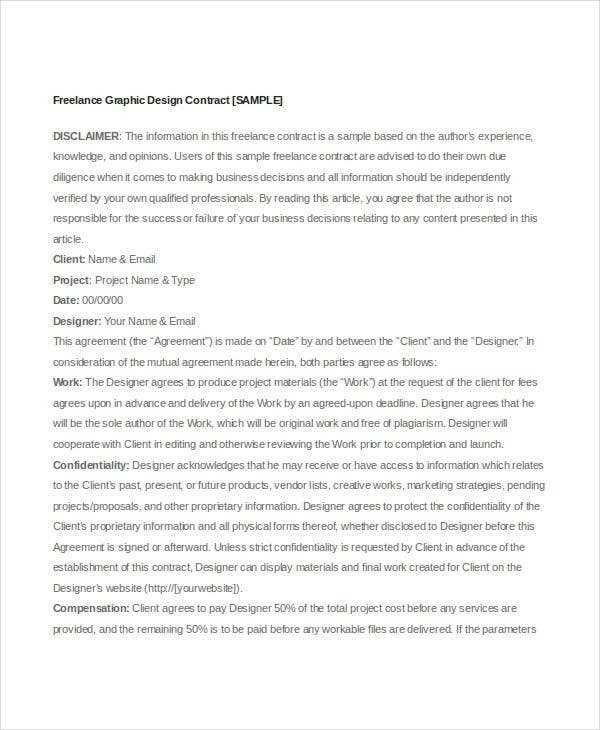 You can get contract terms for freelance graphic artists, videographers, photographers, and writers using these free PDF references and editable Word documents. 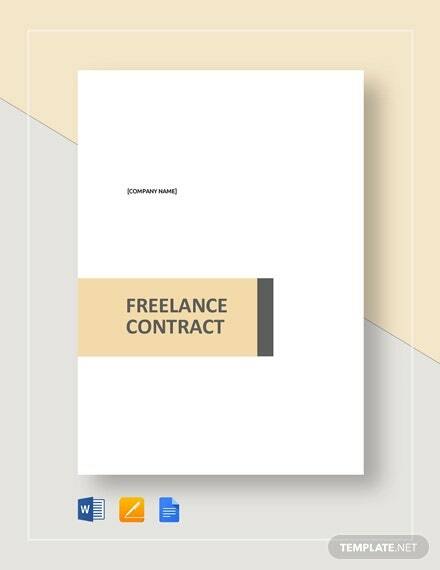 Why Sign a Contract with Freelancers? 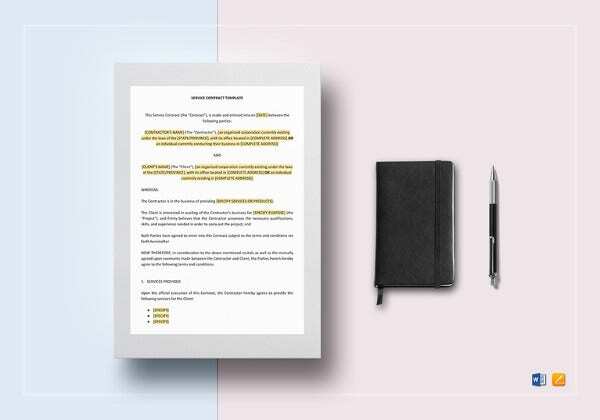 If you’re thinking of hiring a freelancer for some bit of work, perhaps in a grand project or part of your regular business, you might be having your doubts. 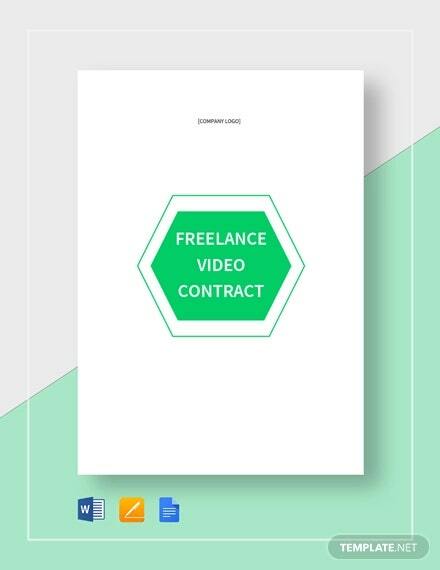 You’ve heard horror stories of freelancers abandoning their clients in the middle of a project or some complications with the payment. 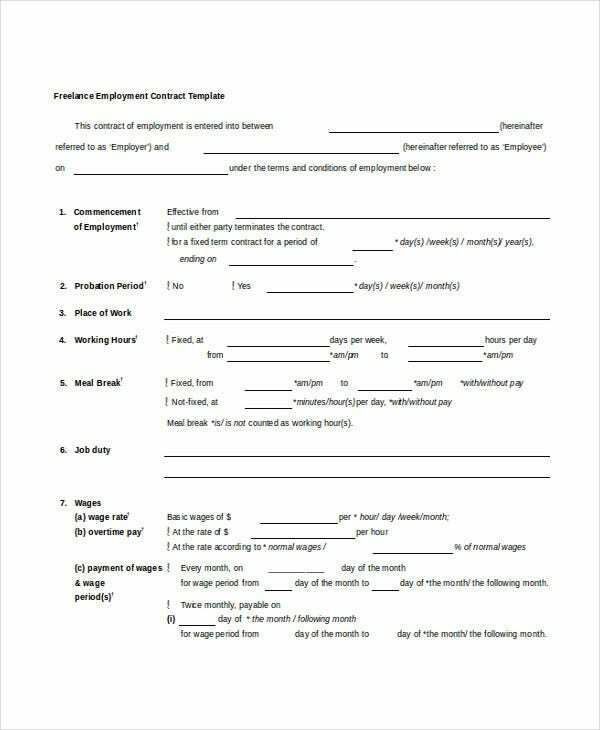 These things happen in every area of business, which is why you have the Employment Contract Template for regular employees and the Consultant Contract Template for outsourced consultancy services. The same thing applies when you’re hiring freelancers. These are the people who strike out as one-man companies. 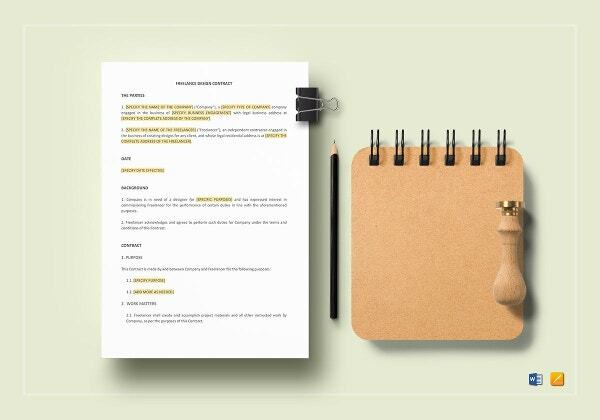 They are sought after for their high level of individualized talent, often in the commercial arts—writing and editing, photography and videography, graphic design. 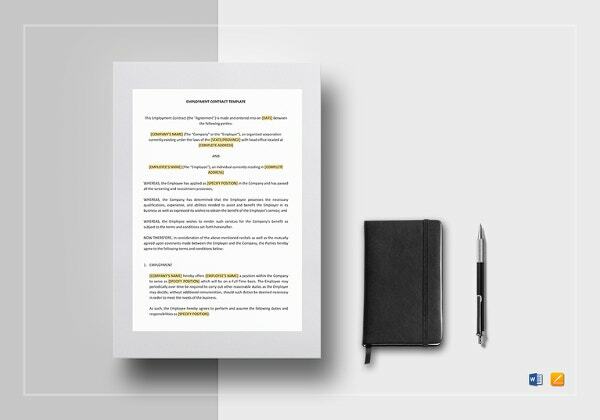 Even if you are wholly impressed by their portfolios and client record, an oral agreement and handshake is not enough. 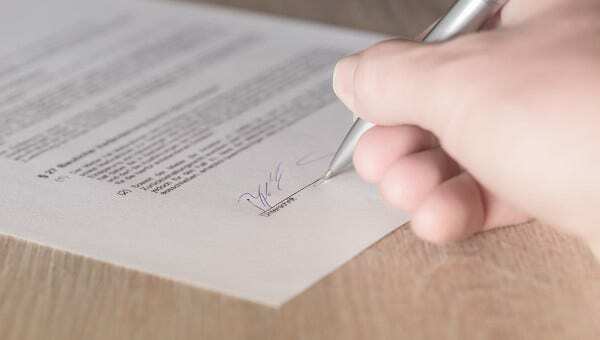 Make sure that the legally binding details of your spoken agreement is later signed on paper. Payment terms. Whether you’re paying them by the hour, by the project, and which, if any, services will be charged an extra fee. Also, the mode of payment. Default consequences and other contingencies. If they are unable to deliver due to unforeseen circumstances, how will you move from there? Termination clause. 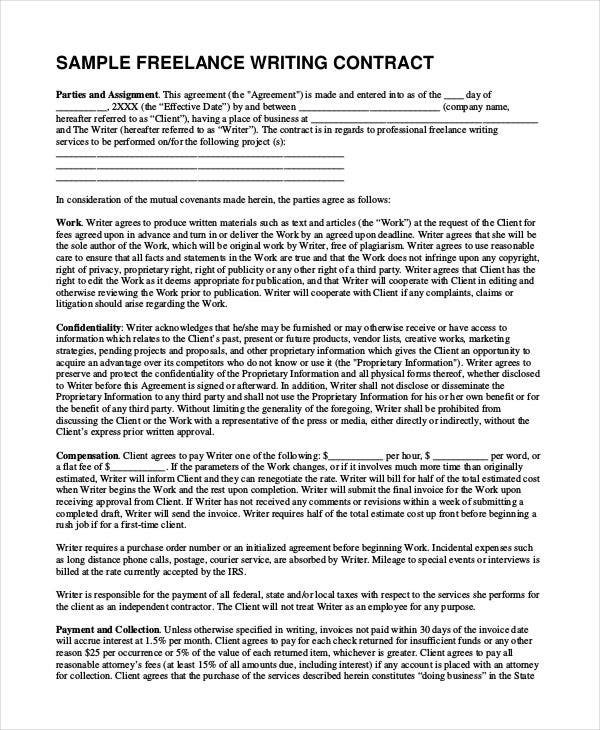 At what point can the freelancer be paid in full (or sued) and the contract closed? 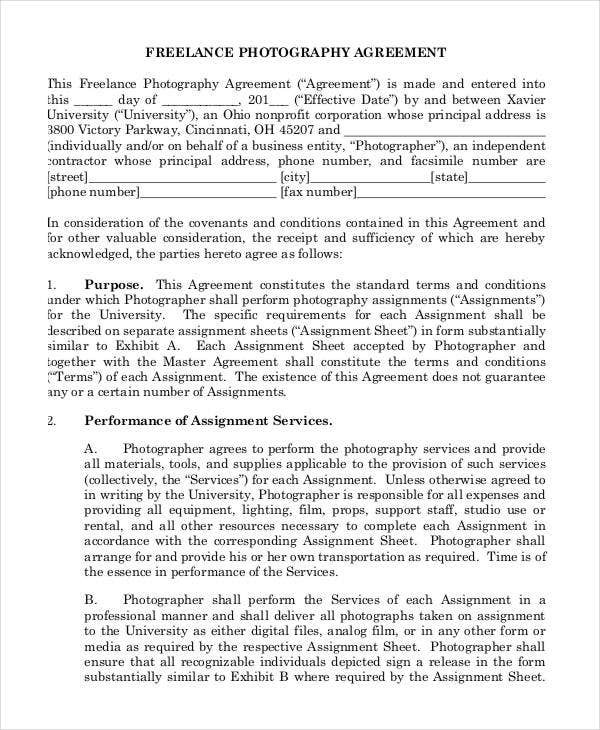 Of course, contact information of both parties must be included. All these considerations are provided in every completed contract sample here. Take your pick. 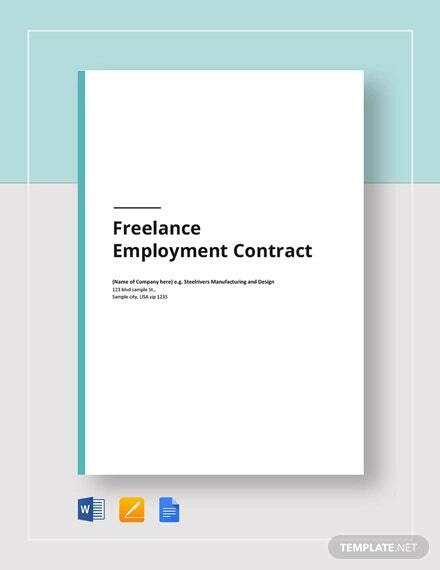 Many of them can even be adapted to other specific types of freelancers not covered here. 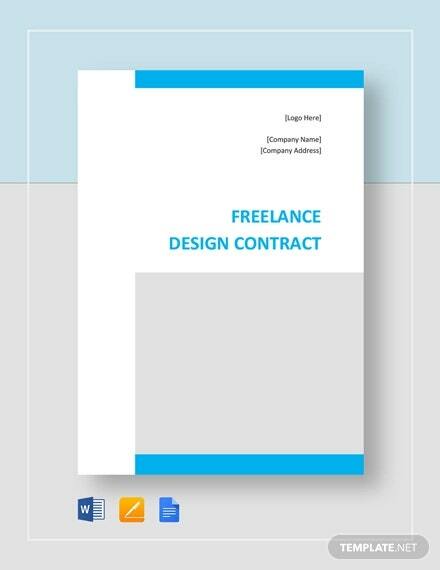 If any of these free contracts suit your immediate needs, download them at no cost and print them out. 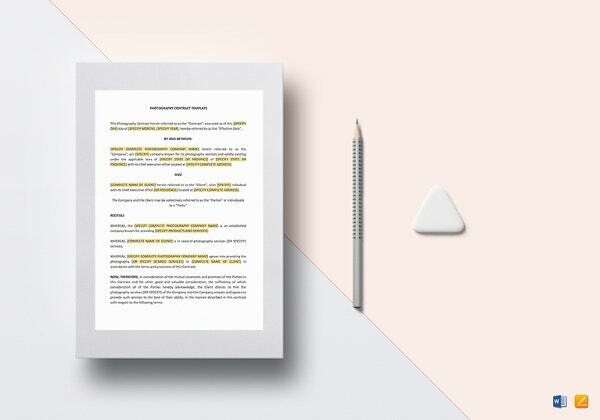 The Word document files can even be edited to better reflect the details of your agreement. 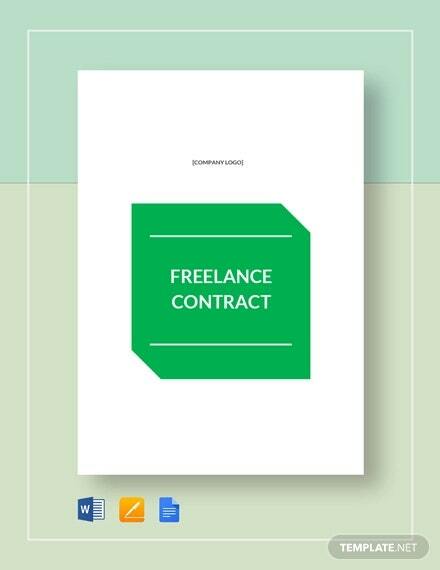 Take full advantage of the services freelancers have to offer on the right terms. 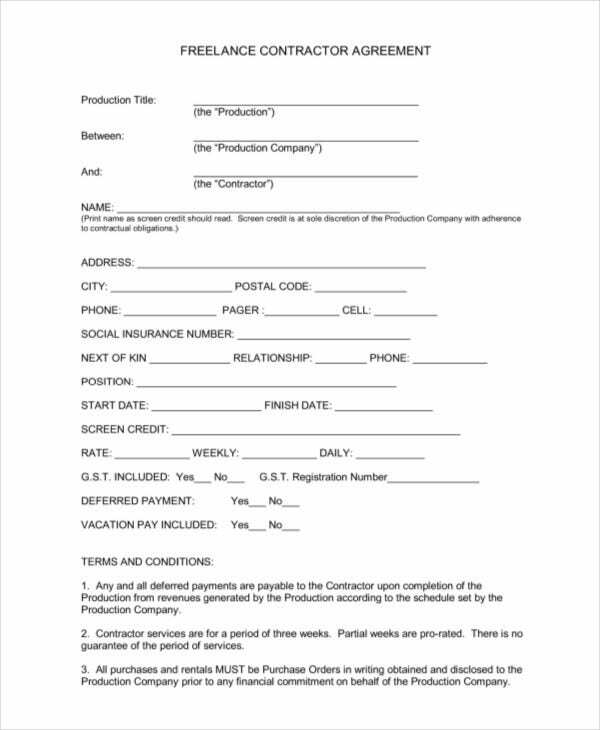 When it comes to infrequent but recurring tasks like making arrangements and reservations, you might want a Booking Agent Contract Template instead.